Johnny Chan is a poker legend and with 10 World Series of Poker bracelets to his name and over $10million in tournament earnings during his career there are few players on the planet who can rival his poker record. This site is dedicated to the legend that is Johnny Chan and you can find out all about the man himself his life story and lots of interesting stories about a life that most of us can only dream of living. If you would like to learn how to play poker from legendary world-class poker players similar to Johnny Chan, you can now do that online. 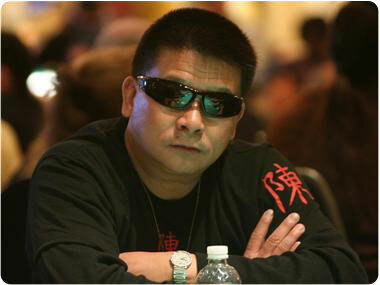 In 2007, Johnny Chan launched his online poker site called Chan Poker. Unfortunately Chan Poker couldn't compete with the more established sites such as Party Poker and Chan Poker closed for business during 2008. But you can still play with legends of poker at Party Poker who has the biggest selection of big name poker players playing there. Party Poker really does take care of the players that use the site and offers a second to none online poker experience with a huge $500 signup bonus, the chance to chat and play with world class Pro's, and state of the art software and graphics which is free to download. Party Poker is the the world's largest listed online gaming business created by the merger of bwin and PartyGaming in March 2011 and as such provides a secure environment to play assured in the knowledge that your money and security is safe and regulated. The Party Poker team consists of some of the biggest named pro's in the world, and this gives you the unique opportunity to sit down and play at the same tables as them or just chat directly with them. You will also have access to regular Tips from the Pro's where you can learn directly Party Poker Pro's with great strategy advice from the best players in the world. Just some of the names that make up the Party Poker team are Tony G, Kara Scott and Poker TV personality Mike Sexton. If you would like to play poker with Johnny Chan's fellow pros, or just watch and learn from them then download Party Poker now and you can be sat next to them within a few minutes. This site contains everything there is to know about the legend Johnny Chan. The articles on this site are split into four main categories. All about Johnny Chan - here we take a trip back and look at the life of Johnny Chan from his childhood to present day. Poker History - in this section we celebrate his biggest poker achievements. Advice from Johnny Chan - this section is pure gold, with advice directly from the man himself Johnny Chan. Business Interests - Johnny is not only a great poker player, but also a astute businessman and in this section we look at some of the business ventures that Johnny Chan is involved with. To read all about Johnny Chan then select an article from the list on the right hand side.